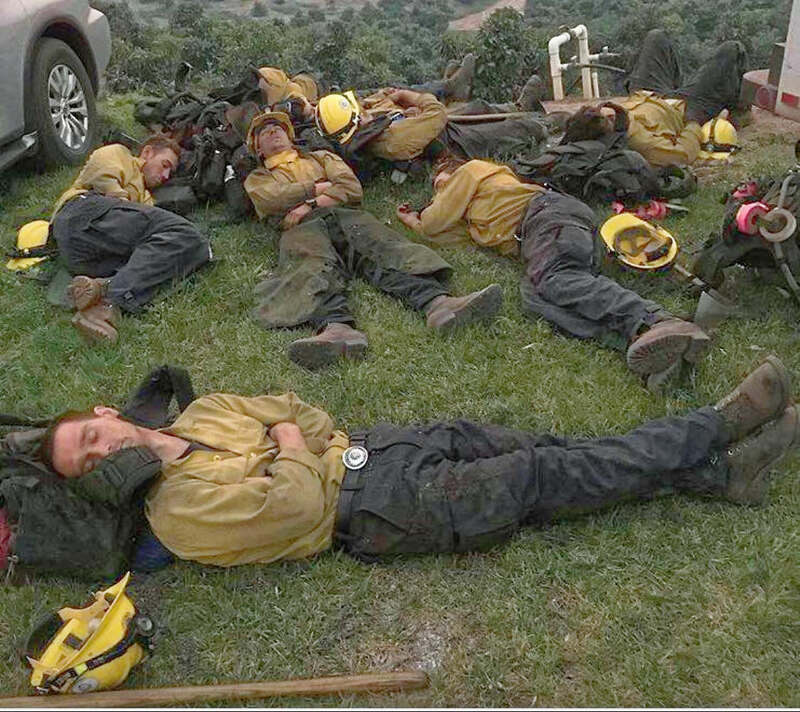 December 2017, California: Tehachapi Wildland Fire Crew 11 crew sleeping after 24hr shift. Where there is smoke, there is Wildland Firefighters. Fire, when finally mastered by our ancestors hundreds of thousands of years ago, cast the very light which illuminates the darkest shadows of our shared history. Unlike lithics or ceramics, fire is a capricious tool of mankind; both benevolent and malevolent in what it can do to shape our destiny. From a single errant spark a conflagration can erupt and devastate entire ecosystems. Fire has no pity, no premeditation, no plans, just potential. In our modern era we are fortunate to have those, who as much as is humanly possible, understand fire. Those who think like fire. Those who can try to predict fires ravenous desire for fuel fanned by always fluctuating temperatures, winds, and precipitation. When the call goes out, they are the #WildlandFirefighters and their peers. These professionals do not run blindly at the fire, they move like masters of the unforgiving and little known terrain. They carry with them the training from mentors with decades of cumulative knowledge, and they are guided in spirit by the ghosts of peers, who sacrificed everything and gave us cautionary knowledge. These assets propel these women and men forward as safely as humanly possible in their pursuit of success against a power that seethes with unconscious rage, yet can be controlled. It bothers me to see our government blame these professionals for the fires currently raging in California. This blame is laid on them after years of bureaucrats hampering Woodland Firefighters and Woodland Forest Managers ability to comprehensively prevent where possible, prepare, and educate, because of budget cuts. All of this in a landscape where fires can, and will, occur when the conditions are beyond human control or scale. "There is no reason for these massive, deadly and costly forest fires in California except that forest management is so poor. Billions of dollars are given each year, with so many lives lost, all because of gross mismanagement of the forests. Remedy now, or no more Fed payments!!" Stay safe out there. Good luck, may the winds not betray your path and the rains swiftly find you.